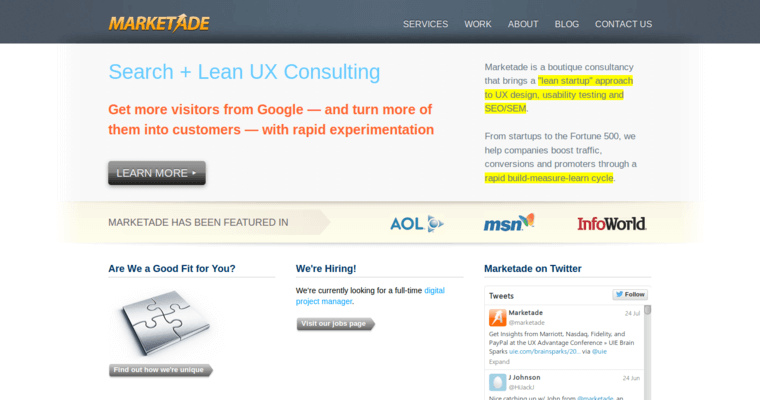 Marketade turns market research into tangible results. This research is performed by in-house teams of business and marketing professionals who uncover actionable insights that form the foundation of meaningful campaigns. 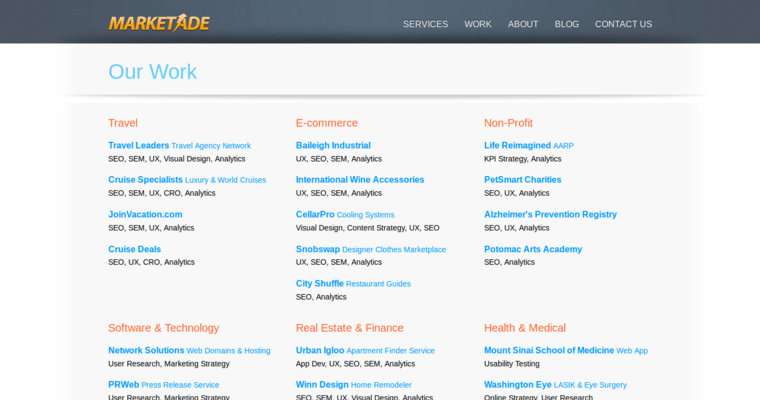 Marketade believes that every client is unique. Therefore, they spend time designing custom solutions that are designed to achieve well-defined goals. For example, some clients might require the agency's web design services. Others may need assistance with mobile and web application development. Regardless of the challenge, Marketade is ready to help clients to reach new levels. 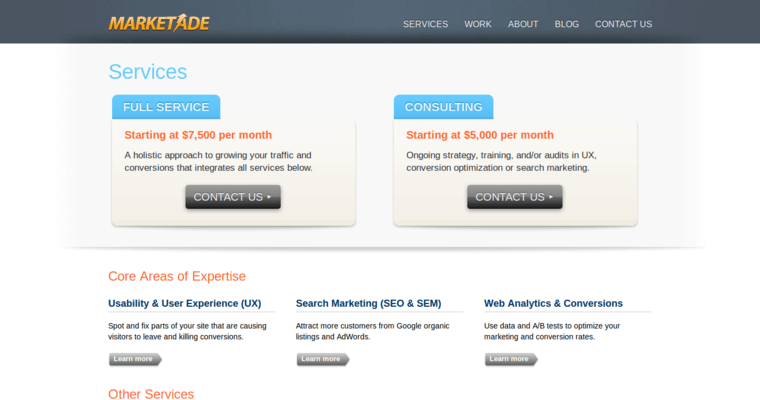 Among all the services offered by Marketade PPC and SEO are the most well-known. Generally speaking, they use PPC to generate quick results while executing long-term SEO strategies. In the end, both tactics work together to deliver high-quality leads and sales. Also, Marketade offers training services for businesses that want to develop their own research capabilities.